Obituary for Ann M. (DeAngelo) Amodio | Somerville Funeral Home, Inc.
TOMS RIVER - Ann M. Amodio, 85, died on Saturday, February 2, 2019. She was born on March 30, 1933 in Jersey City, NJ to the late Catherine and John DeAngelo. 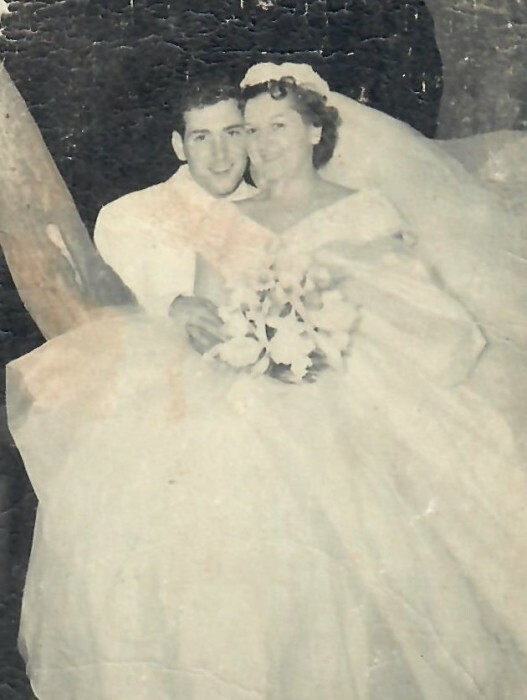 Ann was married to the love of her life Louis D. Amodio for 65 years. They raised their three children in Jersey City before moving to Toms River 25 years ago. She was a graduate of St. Michael’s High School, an executive secretary at Colgate and was also employed at National Cold Storage in Jersey City. She truly enjoyed cooking for her family, watching the food network and game shows. Ann loved Bingo, going to AC and trying her luck with a scratch off’s. Her greatest passion in life was her family, especially her grandchildren. She was an avid sports lover. Her favorite teams included the NY Giants, the NY Yankees, and Notre Dame football. All who knew Ann will remember her as a fun and loving wife, mother, grandmother and great-grandmother. She was a woman who always emphasized that in any of life’s circumstances “It’s OK, it is what it is”. Ann is survived by her beloved husband Louis, her loving children Deborah Regenye (Dr. Glenn Regenye), Peter John Amodio (Hirma) and Louis Amodio (Dawn), cherished grandchildren Amanda, Samantha, Louis Jr., Kyle and Gianna, great-grandchildren Dante and Annabella and a host of family and friends. Viewing is Saturday, February 9, 2019 from 9:30 am to 12:30 pm at the funeral home, followed by a 1:00 pm Funeral Mass at St. Ann Church 45 Anderson Street, Raritan, NJ. Burial is private. In lieu of flowers donations in her memory may be made to St. Jude Children Research Hospital P.O. Box 1000, Dept. 142, Memphis, TN 38148-0142.